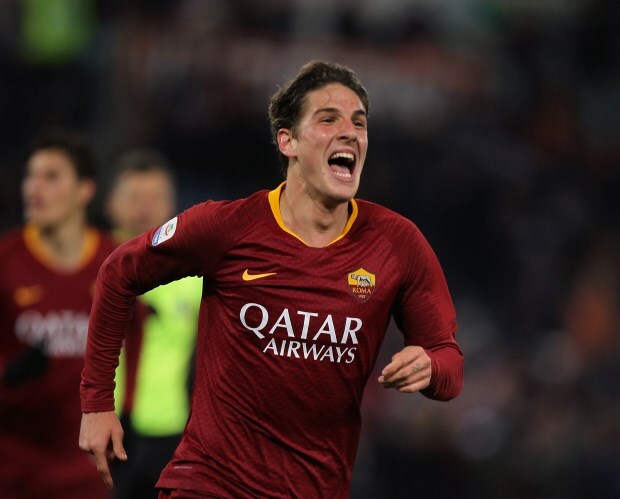 Juventus are considering opening talks for Arsenal linked Nicolo Zaniolo before Roma get him signed up on a new long term contract. Zaniolo joined Roma last summer as part of a deal that saw Radja Nainggolan move to Inter from the Giallorossi and the youngster has been a huge hit this season. The teenage attacking midfielder emerged as a regular starter over the course of the campaign and his recent performances have attracted the prying eyes of several clubs in Europe. Arsenal have been keeping close tabs on the 19-year-old, but it has been claimed Juventus are prepared to make concrete moves to snare him away from Roma next summer. According to Italian daily Tuttosport, the Italian champions are plotting to make a move for him soon and will look to wrestle him away from the Stadio Olimpico. Roma have postponed talks over a new contract with Zaniolo following conversations with his family, but Juventus are prepared to get into the mix to complicate things for the Giallorossi. The Bianconeri want to start negotiations before Zaniolo ends up signing a new contract with Roma. It remains to be seen whether the player is open to a move after spending just one season at the Stadio Olimpico.